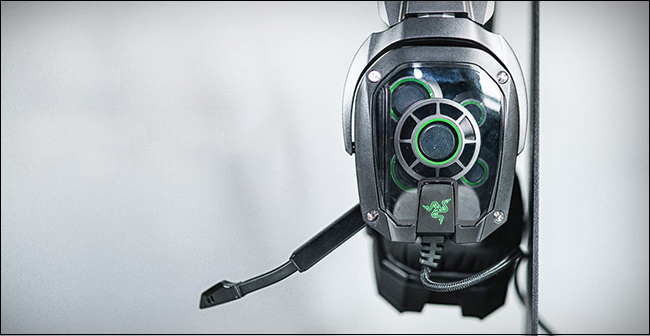 What’s the Difference Between Virtual and “True” Surround Sound Gaming Headsets? Moviegoers already know the bliss of a good surround sound setup, but PC gamers have an even better reason to invest in a little audio immersion: beating the snot out of their online opponents. A good surround sound system can make a surprising amount of difference in fast-paced competitive games, helping you hear where other players are on the map. When shopping for a gaming headset, you may see “surround” sound advertised, but it isn’t always as good as it claims to be—there’s a difference between “true” surround sound and “virtual” surround sound. Let’s start by talking about how stereo headphones work, and how different types of surround sound improve on them. These are you basic, no-nonsense headphones—the kind you can buy at any electronics or department store, or the earbuds that came with your phone. You probably have a couple of pairs lying around the house already. They’ll get the job done in terms of pure sound, and many include a built-in microphone for communication. But with only two driver units (aka speakers—one in each ear), they’re limited in terms of surround sound performance—all you have to work with are the left and right audio channels. 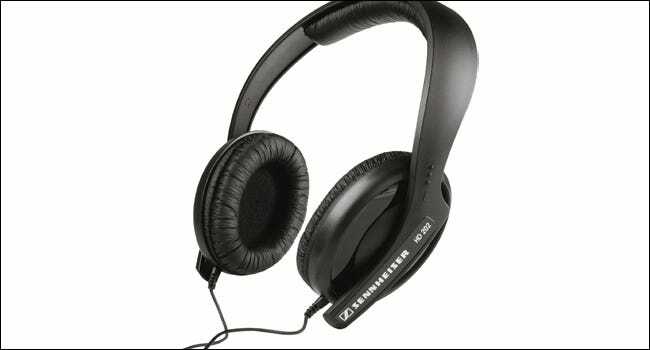 More advanced stereo headphones can reproduce an excellent range of sound frequencies. In fact, it’s much easier to get quality sound from headphones than from speakers, since the drivers in headphones are relatively tiny and the environment for the audio itself (your own ears and auditory canals) is more or less controlled. But for surround effects that enhance a gaming experience, you’ll probably want something extra. Audio software engineers have been hard at work on ways to simulate a surround sound setup on more limited hardware. There are many different competing methods for this, but all of them basically boil down to “fooling” your brain into hearing a directional component that’s more complex than a simple 2-channel setup would be able to deliver in stereo. Imagine someone directly to your left is speaking to you. You’ll hear the sound of their voice in your left ear, of course, but you’ll also hear it in your right—just with a lower volume and an almost imperceptible delay. Turn your head to face the person who’s speaking, and both your ears should hear the words at approximately the same time and the same volume. Even normal stereo audio mixing for music and television takes account of this; a singer or instrument is almost never heard completely in one ear or the other. Normal stereo headphones will use volume to help you determine where a sound is coming from, but virtual surround sound takes it even further. It also delays the sound by a tiny fraction in the “off” ear, among several other processing tricks, to fool your brain into thinking it’s hearing sound from much more than two directions at once. This delay may even be exaggerated to help pinpoint the direction. Many of these other tricks are proprietary, and differ between the many virtual surround standards—such as Dolby Headphone, Creative Media Surround Sound 3D (CMSS-3D Headphone), and DTS Headphone X—so we couldn’t explain it all even if we wanted to—but we’ve used virtual headphones before, and the difference is definitely noticeable. Loigtech gaming headsets use stereo sound drivers, but Dolby Headphone software lets them simulate 7.1 surround sound. Notice that even though the “speakers” aren’t real, they still go to 11. Note that the vast majority of gaming headsets—even those marketed as “5.1” or “7.1” surround sound—are using standard stereo drivers with Dolby or DTS surround sound virtualization. Check the specifications on the packaging: if it only lists one or two sizes of drivers, it’s a stereo set using virtual surround sound. Some gamers prefer a quality stereo setup with virtual surround to “true” surround sound, since the single dedicated driver in each ear is often of higher quality than the multiple drivers in more complex setups…and they’re smaller and much less expensive. 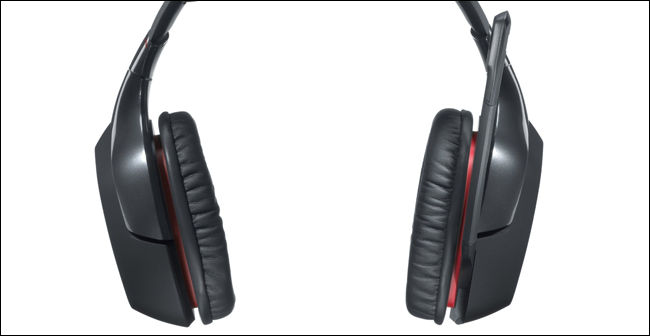 Some popular virtual surround headsets include the SteelSeries Siberia 350 ($95) and the Logitech G430 ($40). As the name implies, 5.1 surround sound headphones use five distinct drivers split across both ears, plus an extra sixth driver for low-frequency bass. These are physically positioned around your ear to help simulate sounds coming from a variety of directions: a center channel, a front-left channel, a front-right channel, a rear-left channel, and a rear-right channel, plus a “subwoofer” for bass. Four channel drivers in one ear: center, front-left, back-left, and subwoofer. Vibrating the drivers in this setup at different volumes, corresponding to the sound sources in a movie or game, creates an impressive surround sound effect. For example, an enemy sneaking up directly behind the player will create footstep noises of equal volume in both the rear-left and rear-right channels, while the same enemy approaching from slightly to the left will be louder in the rear-left channel than the right. 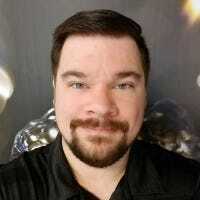 Aside from pure entertainment value, this can be incredibly handy in online multiplayer games, allowing players to instantly react to threats from multiple directions without having to see them all on screen. Most modern games from large developers and publishers will work with surround sound in at least 5.1 channels. 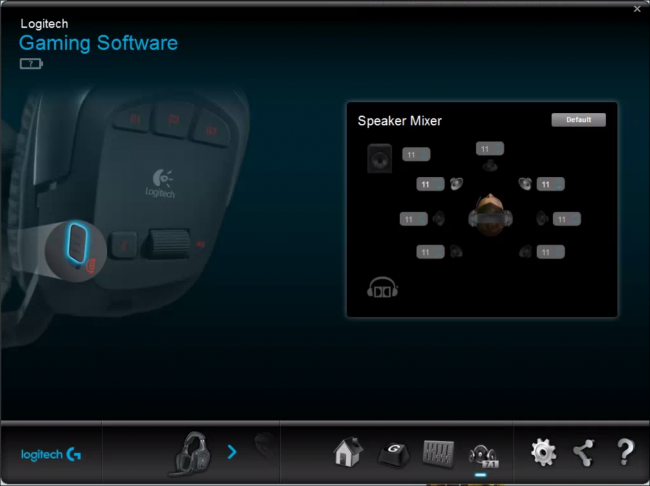 The precise handling of the sound is shared between the game and your computer’s sound card (or, if you use a USB headset, the headset software installed on your operating system). This isn’t just for games, either—if you’re watching a movie on your computer, either from a DVD or from an online video service like Netflix, you can get full 5.1 support—as long as your video player or streaming service offers it. “True” 5.1 surround sound headsets (as opposed to stereo virtual surround) include the Cooler Master Sirus and the Roccat Kave XTD ($160). 7.1-channel headphones operate on the same principles as 5.1 headphones, just with more drivers. 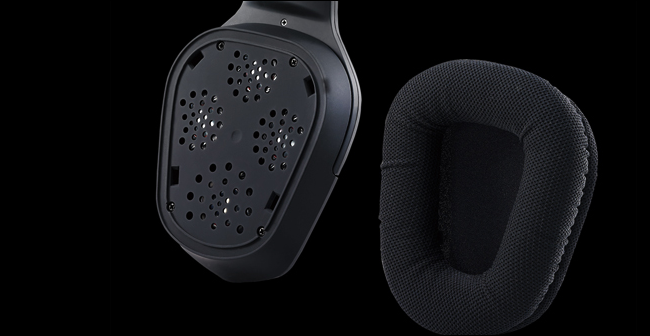 In addition to the dedicated drivers for center, front-left/right, rear left/right, rear-right, and bass in each ear, 7.1 headphones include extra left-surround and right-surround channels for sounds coming from directly left and right in a game or movie. Note the five dedicated drivers: subwoofer, center, left-front, left-rear, and left-surround. The difference between 5.1 and 7.1 is much more negligible than the step up between stereo or virtual surround to true 5.1. Technically it’s more immersive, but since 7.1-channel headsets are more expensive, you may be looking at diminishing returns for the fancier hardware. Also, keep in mind that some games only support 5.1 surround sound, in which case those 7.1 headphones won’t matter. “True” 7.1 surround sound headsets include the ASUS STRIX ($190) and the Razer Tiamat (Discontinued, but still available in some stores). As you shop, there are two more things you may want to consider. Some headphones will use USB to connect to your PC, while others will use some sort of multi-plug headphone jack system. It’s usually wiser to go with more modern USB audio. Most laptops and some newer or cheaper desktops don’t have the necessary audio outputs for surround sound on their motherboard, and very few come with a dedicated sound card anymore. A USB surround sound headset handles all of its audio processing through desktop software or an in-line amplifier, which is much easier to manage. Also, many newer headsets come equipped with wireless surround sound. It’s a neat feature, especially if you’re used to walking around and doing other things while watching a movie. But since most PC gaming is done directly in front of your computer (well within reach of a USB cord), this is a feature that’s generally not worth the extra expense. Wireless headsets also need to be recharged, and can sometimes experience interference from other wireless gadgets—which isn’t a problem with a dedicated USB or audio cable.